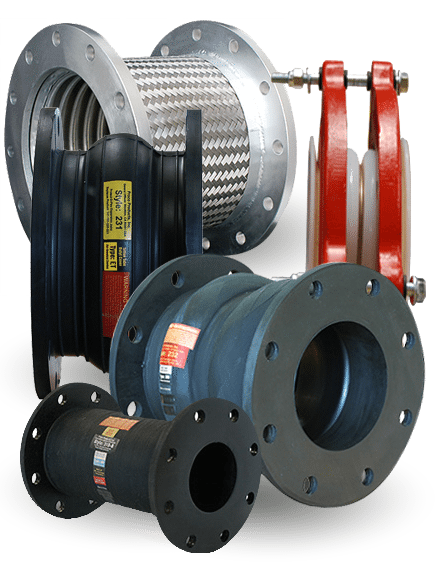 Rubber Expansion Joints and Check Valves - Proco Products, Inc. Global leaders, ready to serve you. Rubber Check valves are a cost effective mechanism to prevent the back flow of fluids and gases. There are various types available on the market, including ball and flap type check valves however, our rubber check valves are specifically designed to be durable and effective, reducing the likelihood of common maintenance problems. They are a fully passive device requiring neither maintenance nor any sources of outside power or manual assistance to operate. Expansion Joints are used as a mechanism to prevent expansion from thermal and vibration energy. Proco Products, Inc.'s specially designed movement expansion joints have the ability to protect your equipment against a variety of stressors while also being, low maintenance and durable for maximum efficiency. 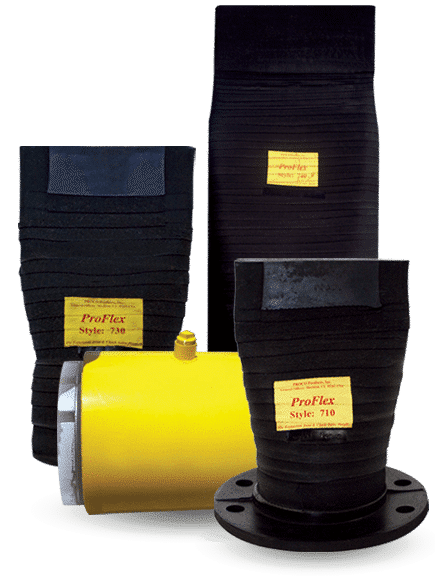 Proco stocks an extensive inventory of expansion joints including rubber expansion joints, PTFE expansion joints and flexible metal connectors.